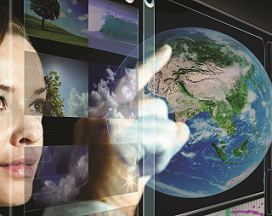 Research Institute for Innovation & Technology in Education (UNIR iTED) will participate in the Second World Open Educational Resources Congress, co-organized by UNESCO and the Government of Slovenia. 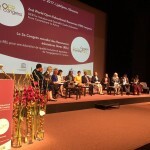 The event will take part five years later from de First World Congress in Paris, 2012, showing, both in the organization and development, how technologies which allow an Open Education have evolved during all these years. Daniel Burgos, head of Institute for Innovation & Technology in Education (UNIR iTED), head of UNESCO Chair on eLearning and ICDE Chair in OER in UNIR, will attend the Congress, which will host around 600 delegates, representatives of Government, NGOs, educators and experts, academia and industry. Virtual participation will allow assistance to all OER community to be part of the Congress. Beside participating in a specific session about OER Chairs and leading a panel about Artificial Intelligence in Education, Burgos will organize, with Fabio Nascimeni, investigator in UNIR iTED, the Open Educators Factory project workshop. Virtual experience on the conference will be available in URL http://www.oercongress.org/vico/ thanks to VideoLectures.Net, MiTeam and Slovenia Ministry of Education. All involved, remote and room participants, will be able to access online materials and share content of interest in their profiles. The platform will be available until the end of 2017. UNIR has made a strong commitment with Open Education, being the first online University in the world which has create an Open Education Policy, aiming to increase learning opportunities for everyone and pursuing the teachers will drive a change for a more inclusive and creative educational system.